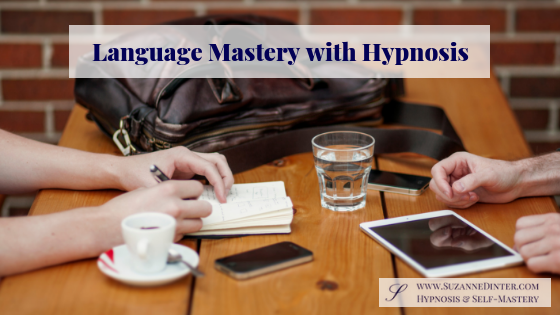 Have you ever considered that hypnosis could be used to greatly improve your mastery of a foreign language? If your dream is to become proficient in a foreign language for travel, living abroad, or if you need a high level of skill for your profession, hypnosis can be extremely beneficial in a number of ways. 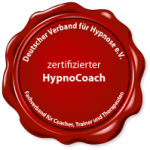 I wish I had known about the power of hypnosis back when I was struggling to learn German! Now I’m fluent and as close to native speaker level as you can get after living and working in Germany for over two decades. In addition, I taught business English in companies for 17 years. I can safely say that I know first hand what learners go through! You KNOW you are excellent at your job but you can’t translate your competence into a foreign language! What about at a social gathering? You struggle to keep up with the conversation with all the background noise. No one seems to be listening to you because you speak too quietly (although you think you’re shouting). The conversation has long since moved on by the time you’ve put together the perfect sentence in your head. You feel left out and frustrated. You begin to doubt your social skills – I used to be good at this – but something literally got lost in translation. And don’t get me started about living abroad! Navigating the authorities, fathoming where to park your car without getting a ticket every time you put it outside your own apartment block, getting your utilities sorted out, setting up a bank account, not to mention starting a new job! Hypnosis deeply relaxes the mind and the body until we enter a trance-like state. It’s well known that when we’re relaxed, we find it much easier to succeed in achieving our goals and dreams. Think about it: a relaxed person is calm, focused and confident. She is radiant and has an almost magnetic aura about her. People want to get to know her because they feel calm and relaxed around her too. She’ll make an excellent and lasting impression at a meeting or conference. Her grasp of the language is firm. She knows how to express herself well with the phrases and vocabulary she has mastered. She knows her language limits too and can circumnavigate tricky topics with charm and humour. These skills will serve her well for future business dealings because people will remember her as a confident and competent professional. A stressed person, on the other hand, especially when wanting to impress in a language other than their native one, can almost forget their own name as a consequence of nerves! This can be off-putting to others because the nervousness rubs off. It’s not very conducive to good communication. The person struggling with their confidence and competence in a foreign language might want to curl up and hide in the loo until it’s all over. She’ll beat herself up for being inept. She knows her stuff professionally, has years of experience and a number of successes. So why does she feel like a tongue-tied 3-year-old as soon as she opens her mouth to speak a foreign language? Calms down your nervous system which keeps you focused in a relaxed way when communicating. Awakens your love of the language so that you have more fun and joy whilst learning. Assists you in confronting your “whys” and checks if your subconscious has enough good reasons to strive for the level of language mastery. Increases your motivation by tapping into the positive emotions that drive you to become proficient. Improves your memory and recall for vocabulary and phrases. You’ll remember and use expressions that you never realised you knew or didn’t feel confident enough to say before now. Helps to keep your mouth moist, your breathing deep and regular and your voice feeling perfect whilst speaking. Boosts your confidence and trust in your memory, ability and intelligence. Heightens your awareness that others like you, that they are friendly towards you and that they are interested in you. The feelings will become mutual. Allows you to recognise how proud and grateful you are for how far you’ve come, letting go of perfectionism and striving for excellence instead. Amplifies your excitement about reaching even greater achievements. Helps you to clear unwanted beliefs about your language learning abilities that come from your past. Teaches you how to activate your inner power whenever you need it. Does that sound amazing? Which language goals would you like to bust with the help of hypnosis? If you’d like to find out more, I invite you to book a free initial consultation call with me here. Please feel free to share this blog post with someone you know who is struggling with learning a language. It doesn’t have to be that way. Wow! What a great idea. I wish I’d met you when I was learning Portuguese! You should hook up with Claudia Dickson from CDLingua. Thanks, Claudia! Yep, I wish I knew about it when I was struggling with German. What a great article, Suzanne. It could help a lot of people with their languages. Sounds really great!